1 architectural drawing : blueprint ; 35 x 51 cm. Consists of architectural plan for building at 1119 Oscar Street. One-storey house. 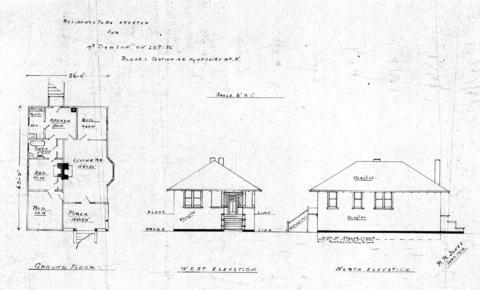 Original title: Residence to be erected for Mr. Dawson on Lot 26, Block 1, Section 69, Hampshire Rd. N.